Alex is an AMAZING photographer! She makes every session so personal and fun. We hired her for 2 sessions and made sure we worked our wedding date around when we could have her be there. We would recommend Alex to anyone wanting amazing pictures! This is a little late but worth the review. We actually found Alex on weddingwire.com This was our first time doing anything for a wedding let alone our own. We had looked at a couple of people for our photographer but for what we wanted everyone was way to expensive. We wanted very minimal and just catching the biggest moments. Alex went above and beyond our expectations and was so helpful the whole time up until the wedding. We were especially grateful since we were planning our wedding to be in NY and we live in Florida. We met on a phone call and talked about what we wanted. She even made a more personalized plan and schedule to fit what we wanted and expected for our big day. She even met with my parents since they were in NY. Alex is a wonderful person and captured all our best moments and more and they all look beautiful! My fiance and I just had our engagement session and honestly could not be more impressed with Alex's work. Before we even had our session Alex was super easy to to talk to and was just as excited for our engagement session as we were! We explained what our vision was and she went out of her way to deliver exactly what we were looking for. She arrived early day of and already had scoped out the area and had so many ideas to make sure we had the best experience possible. I would highly recommend hiring White Poppy Weddings! I cannot recommend Alex enough. She gave over and above. We contracted her for a wedding reception--there was no formal ceremony, as they were already married. We had a short blessing, but no bridesmaids or groomsmen. She arrived early and stayed later than she had to. Our photos are unique, and she has a watchful eye for those moments you'd want to capture. Although we did not want the standard, typical wedding photos to be the norm, there are enough of them for memory sake. We received our first batch within a week of the reception, and will be receiving the rest next week. Based on what she already sent, I can't wait to see the balance of them. I couldn't be happier. Working with Alex is an absolute pleasure. She made us so comfortable and excited to see the final product, we chose to do a second engagement shoot because we loved our first so much! I couldn't imagine anyone else photographing our wedding and future events as well. She is accommodating with scheduling and makes wonderful suggestions for locations of the shoot, as well as poses during. She creates an artistic and natural atmosphere. We are so thankful for Alex and her work. We can not say enough good about her personality and the timeless product she provides. We recommend her for all of your special events! We had White Poppy Weddings do our engagement photos for my fiancé and myself and we couldn't of been happier!!! The pictures came out great and were given to us in a timely fashion. I would recommend this company to anyone!! Alex was recommended to my wife and I through a mutual friend. We contacted alex, viewed her website and other clients photos on social media and knew we had to book her for our engagement shoot. During our shoot, she made us feel comfortable and helped to bring to life photos we had seen online. Alex made wonderful suggestions and in that first time meeting we knew, we wanted her for our wedding. We did a second engagement shoot because we loved our first so much. Alex made location suggestions, scouted places out & helped us to once again, bring to life things we had envisioned. My wife’s aunt hired alex to photograph her bridal shower because our family had fallen in love with all of our engagement shots. 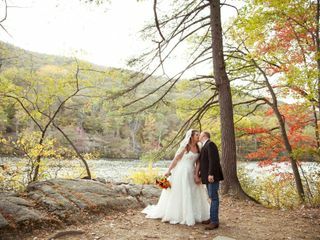 Our wedding was 10/28/2017 at bear mountain Overlook Lodge. When my wife, family and I reflect back on that day, we can’t help but think: thank gosh for Alex, and her assistant Brandon. So many things didn’t go as planned, but Alex and Brandon went above and beyond do to everything in their power to make our day amazing. Alex and Brandon arrived early and photographed the entire day. They knew the poses and shots we wanted and made sure to get them all. They both went out of their way to radiate professionalism while making everyone involved feel welcome and comfortable. Not only did they capture amazing photos and moments throughout our wedding day, they helped in so many other ways! I would rate them higher if possible. I can not recommend alex & white poppy weddings enough! for any/ every event! She is friendly and outgoing, helpful and excited to work with her clients. We look forward to our next reason to have beautiful photos taken! Alex truly loves what she does and her dedication, passion and artistry infused the whole experience. Alex makes it a point to do whatever she can you make her clients’ experience the absolute best, she is flexible and responsive and easy going. A delight to work with throughout the whole process. I highly recommend her for your wedding or any event you need professional photographs!! Alex did personal shots for me, she also did a photo shoot for my little brother's kindergarten graduation. Alex is very personal, professional, and very talented. Great person to work with! Strongly recommend! My experience with Alex was amazing! My wedding was a year ago and wedding planning was one of the most overwhelming experiences. After realizing what would make my husband and I happy, we decided to have a small intimate wedding with close family and friends. I contacted Alex only a few days before the wedding and her response time put me at such ease. All of my questions, all of my emails/calls were responsed to with patience and complete professionalism. Alex told me to make a Pinterest board so she could see my style and on the day itself, she recalled so many of the poses and types of pictures I wanted, ones that I even forgot! She made my wedding day flow so easily and made sure to get the pictures that I told her I valued. 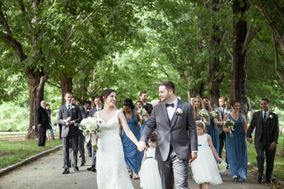 Your wedding day can be so overwhelming, being pulled in so many directions but Alex helped bring a calmness to the day. We loved how the photos came out, and I can't thank her enough. My husband and I were just saying the other day that we wished that we still lived in NY so we could use her for all of our special events and moments!